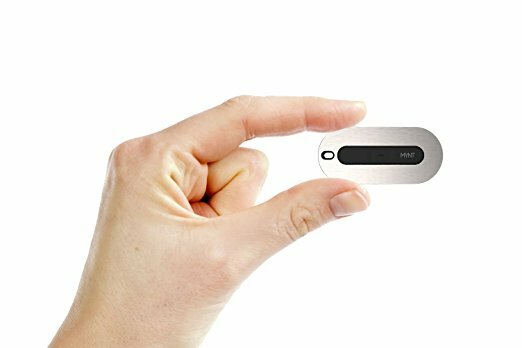 The popularity of Bluetooth trackers is on the rise and it’s no wonder since our lives are increasingly full and our brains become so overloaded that we can’t remember where everything is. They’re not just popular for that reason though. My dog recently acquired a tracker on his collar after he decided to go wandering and I’m planning to buy one for each suitcase before I go on holiday this year. I was given the chance to try Mynt’s new smart item tracker and I jumped at the chance. This is a really simple little device. 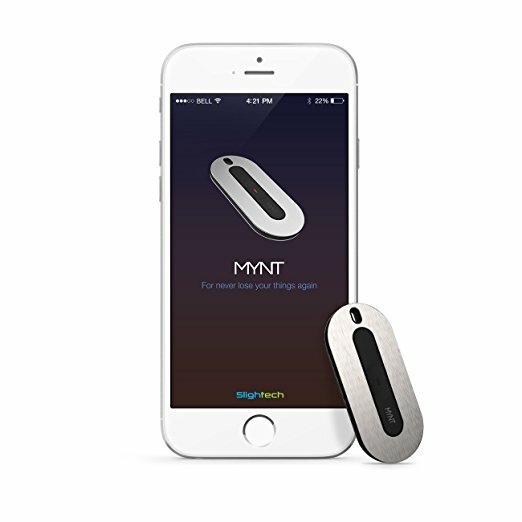 It is attached to an item you don’t want to lose, whether that’s your keys, your suitcase or your pet and you pair the item with the Mynt app on your smartphone. Once they’re teamed you can use the app to locate the missing item using Bluetooth technology. 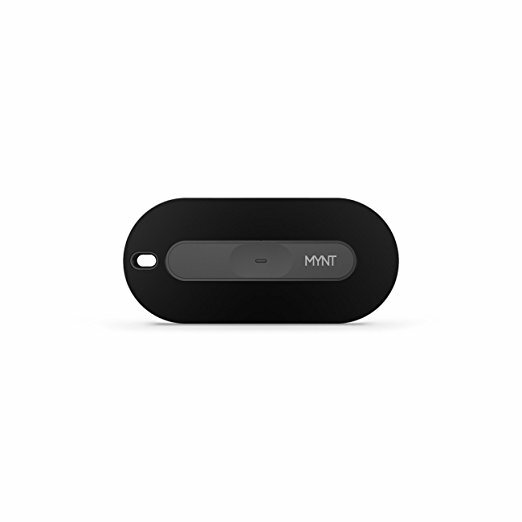 The idea is that the more people who use Mynt trackers, the more chance there is of finding that item since once you’re out of range or the tracker you can request help from the wider community. 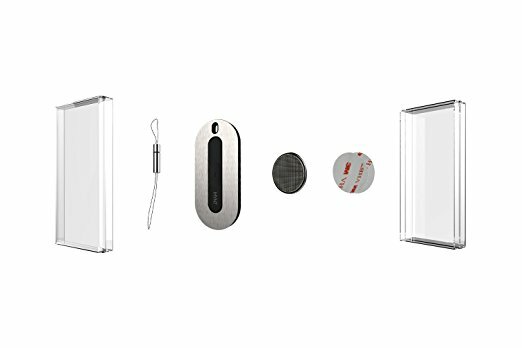 As soon as someone comes into Bluetooth range of the tracker which is attached to the item, an alert will be sent. It’s a multi-functional device and doesn’t only operate as a tracker. 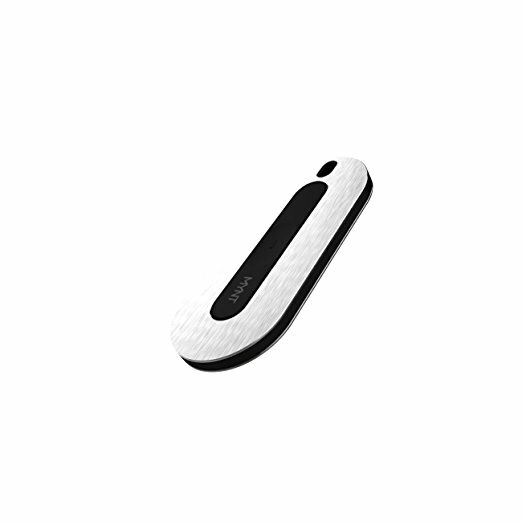 It can also be used as a smart remote to control your smartphone, take selfies, play music and control PPT on MacBook. However, I don’t own a MacBook so I can only review this on the basis that it is a tracker. Holding down the clicker on the tracker will turn up the volume on your music and a quick click will pause or play tunes. Similarly, when the camera app is open, holding down the button in the centre of the tracker will take a photo. The great thing about this is that it’s super thin. At only 1/8th of an inch thick, it is easy to store in your wallet and will look great attached to a keyring. It’s around two inches long and has curved edges giving a very sleek, stylish design. It comes in four colours, namely silver, black, gold and blue. There is a small hole on one end to allow for attaching to a keyring and an attaching loop is provided in the box. You also get a spare battery in the box and a battery loaded in the device. This is handy because although the battery will last up to one year, if you lose the device and spend a while trying to call it, it can run down pretty quickly. Setup was simple. The app was easily downloaded from the app store and didn’t take up a lot of room on my phone. It paired with the tracker without any issues and offered the chance to rename the tracker, so that in the event I own two or more, I can tell which items are in range. It’s easy to ring the tracker from the phone with one touch and the tune played by the tracker is distinctive and cute. There is a community network that can help if you’re out of range. I live in a rural area so I didn’t find any help but in a bigger city, this would be of more use. Something that the app might benefit from is giving an estimate of how many tracking devices are in your area. Overall, I like this item. It’s reasonably priced compared to other trackers on the market and I would consider it a good investment. My own Mynt will now be attached to my keys, something I am always misplacing! 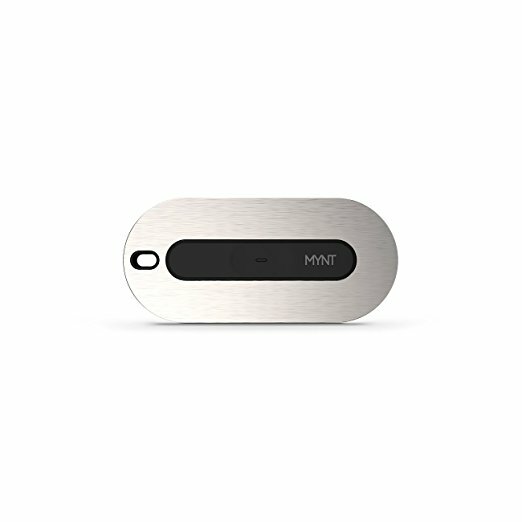 The Mynt Smart Item Tracker has already won the Best Design Award of Red Dot 2016 and is sure to become a staple item in many people’s lives. 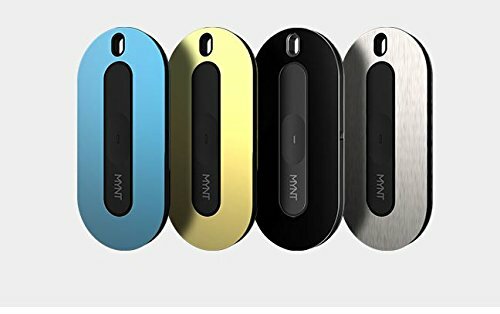 To read more about the Mynt Smart Item Tracker, please visit the Mynt website or read more about it on Amazon. It is priced at £19.99 for one or £59.99 for a pack of four. What would you attach a tracker to?